Benzie County is filled with the most beautiful "Up North" scenery and that wonderful Northern Michigan feeling. 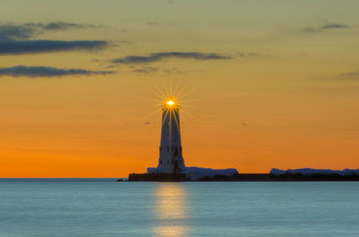 Whether Benzie County is your destination, or if you are passing through on your way to Traverse City or the Sleeping Bear Dunes National Lakeshore, there is so much to see and do! 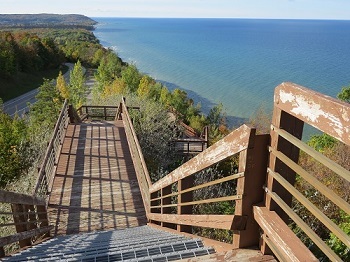 Truly inspiring, Inspiration Point provides one of the best views of Lake Michigan in Benzie County. Right alone M-22 Scenic Highway, the breathtaking view of Lake Michigan is worth the climb to the top of the stairs of the scenic lookout. Not only is the view of the lake amazing, but you'll see miles and miles of countryside from the surrounding land. Telescopes have recently been added to two different levels of deck at the scenic lookout, and you might even get a glimpse of Wisconsin's shore. 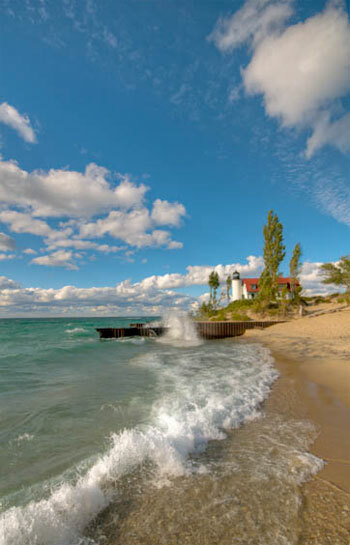 It's a great place to take a break from driving and catch a fresh, Lake Michigan breeze.